How Cybercrime Could Actually Make The Internet Safer #Infographic ~ Visualistan '+g+"
Cyber crime could actually end up making the Internet safer. Here’s how. 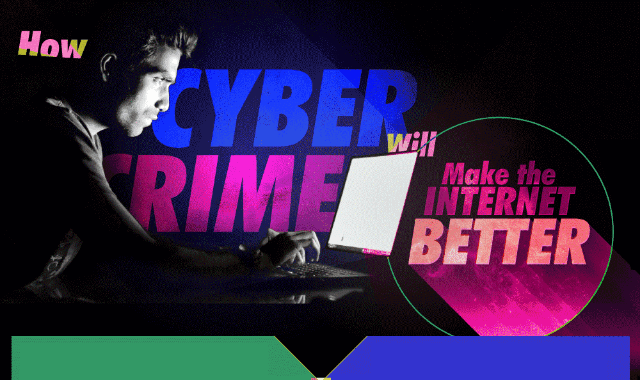 Cyber crime is the fastest growing and one of the most expensive crimes out there. No matter how hard companies try to protect their data silos, they are only as strong as their weakest link. Those weakest links tend to be humans. So no matter how strong you build a program there’s always a human who can destroy it with one unsafe password or link click. Enter blockchain. Blockchain could end up revolutionizing the Internet by using the same technology that makes Bitcoin and other cryptocurrencies secure. When you decentralize the web you limit the ability of hackers to take down massive blocks of data in one fell swoop. So because the Internet is so unsafe as it is, cybercrime could actually push us toward a safer Internet. Learn more about how blockchain could lead to a safer Internet from this infographic!